Beautiful natural results for all ages. "As a cohesive team, we will provide you, our patient, comprehensive oral healthcare with a commitment to obtain exceptional results, treating you with care, respect, and importance." The team at Graff & Peterson Dental would like to welcome you to our family dentistry in Montrose. Dr. Christopher Graff and Dr. Scott Peterson offer a wide range of preventive, cosmetic, and restorative treatments to improve your dental health and help you achieve a beautiful smile. Call our practice and schedule your next dental appointment with us today! 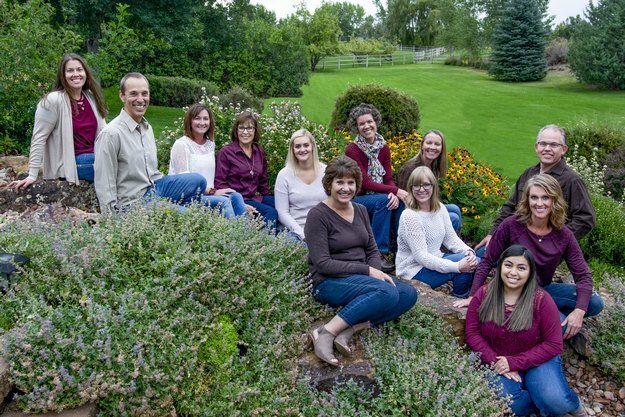 Graff & Peterson Dental proudly supply dental care for patients from the Western Slope of Colorado including Montrose, Ouray, Hinsdale and Gunnison Counties. At Graff & Peterson Dental, we are dedicated to providing patients of our community with reliable, personalized care to aid in helping them to achieve optimal oral health. We address issues from cavities to missing teeth. Drs. Graff and Peterson’s meticulous attention to detail ensures each patient receives the highest-quality treatments and care in a state-of-the-art facility. We provide 24-hour emergency dental care available for patients of record. New patients experiencing pain, an abscess, or a knocked-out tooth can schedule treatment for the next available appointment. The sooner patients receive care after the point of their dental emergency, the better their chances are to successfully restore their dental health. Initial appointments with our office provide thorough examinations, ensuring we collect all necessary information to create a customized treatment that addresses individual issues. We take the time to listen to individuals’ concerns and craft a unique treatment plan that fits perfectly with their dental goals. We conduct procedures with great compassion, aiding patients in avoiding anxiety, alleviate pain, and improve their overall health. The team at our practice are friendly and knowledgeable, helping you to attain the care you need during every visit to Graff & Peterson Dental. Call or visit Graff & Peterson Dental in Montrose, and schedule your appointment with our dentists today. To visit our office from Townsend Avenue, go east on Niagara Road past the pavilion and turn right on East Pavilion Place. Our office is at the end of the cul-de-sac on the left. Montrose Dentist Dr. Scott Peterson and Dr. Christopher Graff are dedicated to excellence in general dentistry such as cleanings, restorations, and maintenance.